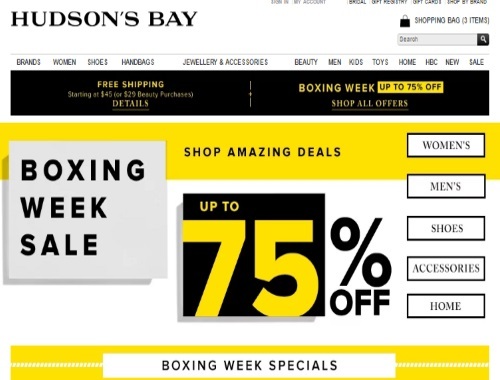 Hudson's Bay is offering up to 75% off now during their Boxing Week Sale! Shop amazing deals on Women's, Men's, shoes, accessories and home! Free shipping starting at $45 and $29 for beauty purchases.